Low film thickness (~14 microns) allows use indirect AND indirect (cementation) procedures. High bond strength, strength (23 MPa to etched dentin / 30 MPa to etched enamel), to preventmicro-leakage. 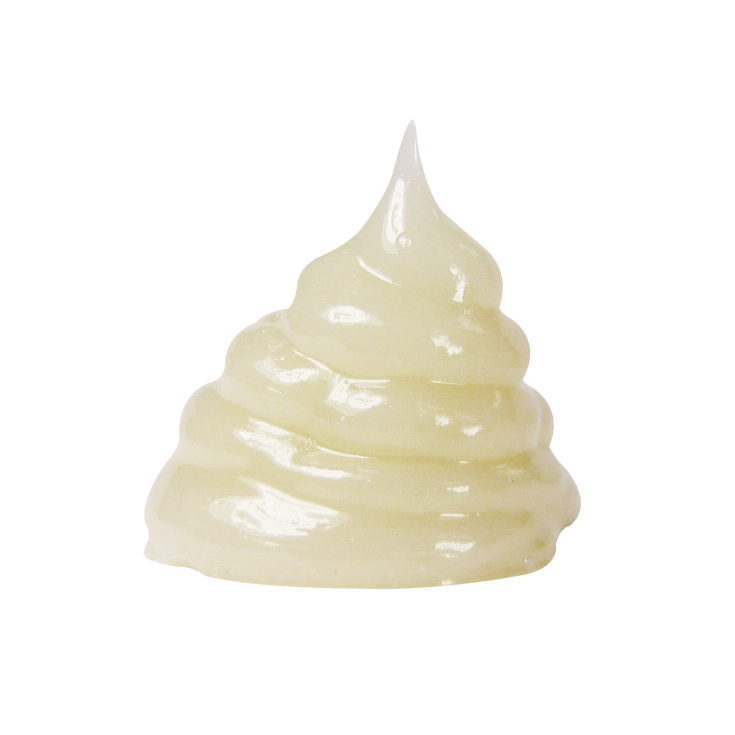 5th generation, one-bottle formula means NO portioning, NO mixing, NO waiting! 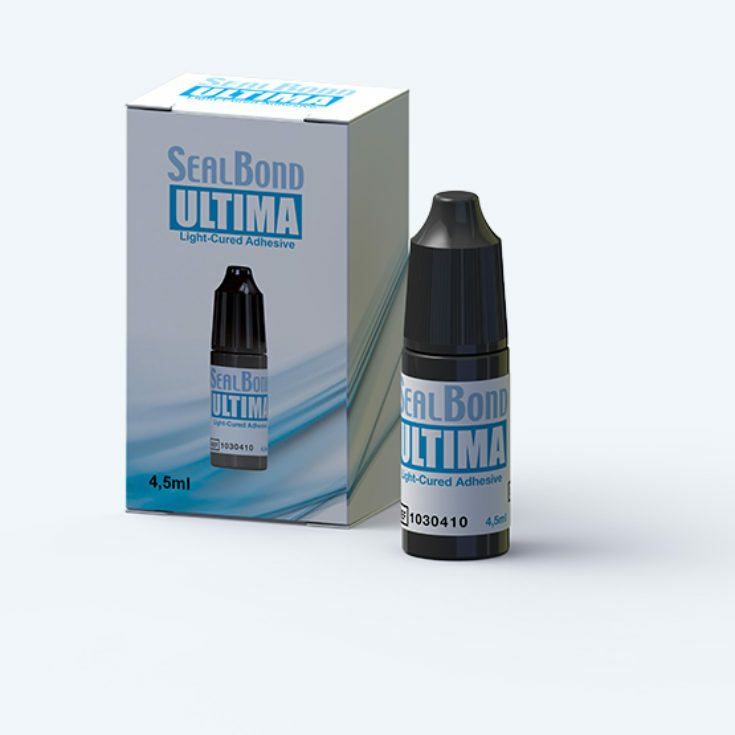 SEALBOND ULTIMA is a 5th generation bonding system in order to present the best proven results for post cementation. 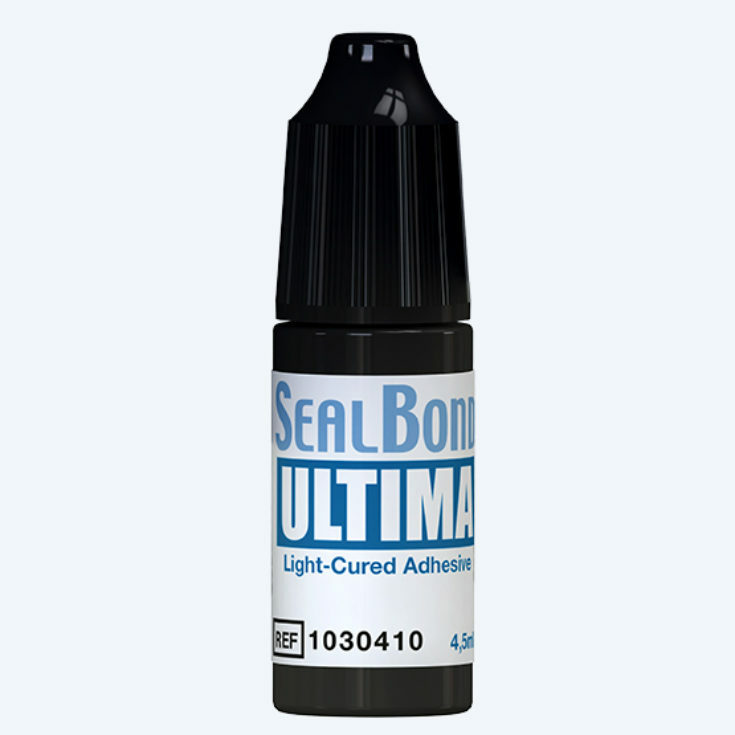 SEALBOND ULTIMA is compatible for use with light-cure, dual-cure and chemical-cure cements and composites. SEALBOND ULTIMA is highly light-sensitive. It works perfectly with our translucent fiber posts and our CORECEM Dual Cure Cement and Core Build Up. The two-year shelf life allows liberal inventories, peace of mind.